UPDATE: Who could have guessed that the humble doughnut would give the DMV’s abundant cupcake shops a run for their money? Believe it or not, it's true. And, we're not just talking about the typical glazed variety, either — we’ve found mouth-watering variations in flavors that you would never have imagined. Since it's National Doughnut Day today, we're celebrating with a handy guide to the DMV's best spots for getting your sugar fix. This article was originally published on February 27, 2013. Offering flavors such as cannoli, caramel-apple-streusel, and coconut-lime, this shop currently caters and delivers to locations throughout the DMV. District Doughnut and Coffee, no address; 571-215-6122. Crème brûlée, pistachio, and Saigon cinnamon doughnuts, served with buttermilk fried chicken on the side? Yep, it's a real thing — and it's really delish. 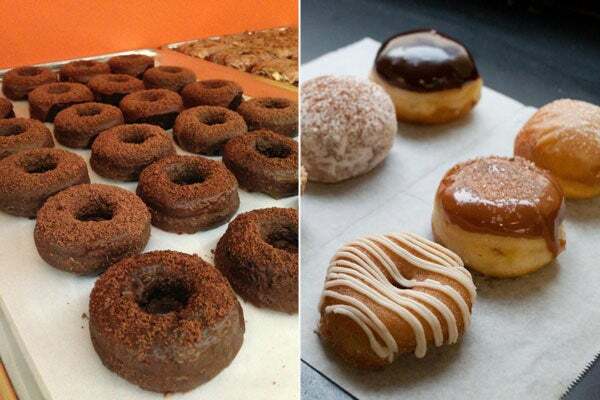 If you haven’t been to Astro Doughnuts yet, stop dawdling and get there, stat. Astro Doughnuts and Fried Chicken, 1308 G Street NW; 202-809-5565. Short for "golden, brown, and delicious," GBD's Dupont Circle outpost offers a tasty mix of doughnuts and fried chicken, as well as an evening cocktail bar menu. GBD, 1323 Connecticut Avenue NW; 202-555-5555. The Mount Pleasant staple sticks with the classics, including glazed, chocolate with sprinkles, and Boston cream. Heller's Bakery, 3221 Mt. Pleasant Street NW; 202-265-1169. The freshly fried doughnuts come with cinnamon sugar and vanilla whipped cream during Saturday and Sunday brunch. Tabard Inn, 1739 N Street NW; 202-331-8528. The weekend brunch menu at this Cleveland Park spot features fresh lemon- or chocolate-glazed doughnuts. Yum! Palena Café, 3529 Connecticut Avenue NW; 202-537-9250. Stop by for a trio of hot beignets topped with powdered sugar, the traditional fried treat of NOLA. Bayou Bakery, 1515 North Courthouse Road, Arlington; 703-243-2410. Try the Jewish-Hungarian version of doughnuts called teiglach, which are served warm and covered in a lemon-honey sauce with hazelnut brittle and toasted almonds. DGS Delicatessen, 317 Connecticut Avenue NW; 202-293-4400. Get ready to house some Balkan-style doughnuts, made with puff pastry, filled with cream, and topped with powdered sugar. Ambar, 523 8th Street SE; 202-813-3039. Pick from a selection of four types of fresh doughnuts to kickstart your brunch. Lyon Hall, 3100 North Washington Boulevard, Arlington; 703-741-7636. Start your hangover off right with a complimentary basket of doughnuts. Free and delish? Sign us up. Bourbon, 2321 18th Street NW; 202-332-0800. Make sure to save room for dessert here, where the made-to-order beignets come with three dipping sauces: raspberry coulis, semi-sweet chocolate sauce, and caramel sauce. Founding Farmers, 1924 Pennsylvania Avenue NW; 202-822-8783. 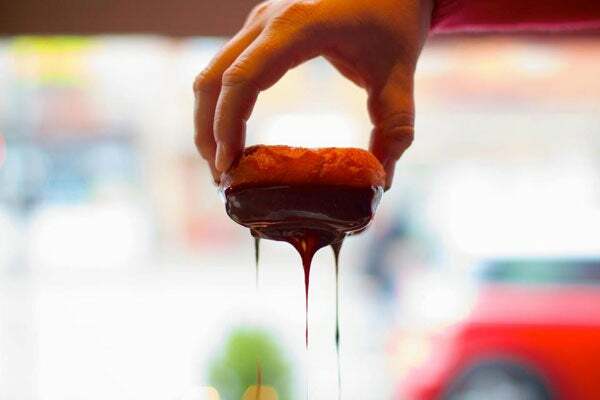 During brunch, doughnut holes are served warm with caramel and chocolate dipping sauces. Darlington House, 1610 20th Street NW; 202-332-3722. Plan to allow 15 minutes for the kitchen to prepare a mountain of doughnut holes, served with a respectable amount of powdered sugar. Rustico, 827 Slaters Lane, Alexandria; 703-224-5051.